I have to admit, I love the feeling of scrubbing down with those tiny beads, that open up the pores, exfoliating and really getting down into that tough dirt. Nothing feels better. But did you know that those tiny beads are usually made of synthetic plastic? and that everyday, millions of these tiny beads are washed down the drain, contributing for a large percent of the plastic contamination in our oceans? 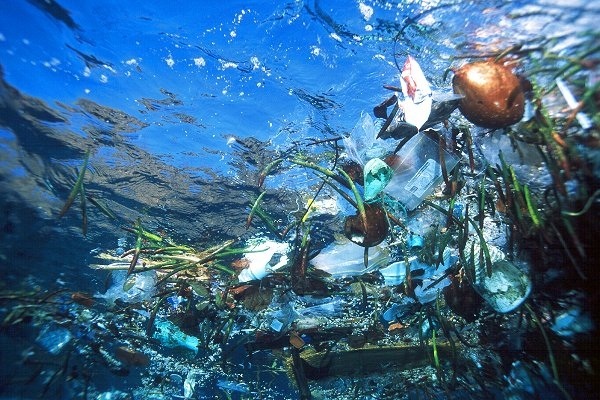 Researchers state that there are 360,000 pieces of plastic for every square mile of the ocean and 12.7 million metric tons of plastic find their way to the ocean every year. While most of the plastic found in oceans is from waste products such as bottles and food waste wrapping, a study released in the journal of marine pollution bulletin states that micro-beads could result in 80 tons of micro plastic waste, as these tiny beads pass easily through sewage treatment plants. This equates to approximately one trillion tons of micro-beads leaking into our oceans every day. Another study published in the global change biology found that half of the worlds turtles ingest plastic and it is also been found that 90% of sea birds have plastic in their stomachs. To curb the sales and distribution of these beads, legislation proposed “The Micro-bead Free Water Act” and it was introduced into house of Commons, to ban all products that contain synthetic micro-beads including, bar soap, toothpaste, shower gel and exfoliates. If passed the bill would ban all sales and distribution of these products by January 1, 2018. Some companies have preemptively agreed to replace synthetic beads with more natural products. Switching to a natural product today, would greatly impact the amount of plastics in the ocean. Apricot scrubs, oatmeal and sea salt are great examples of a natural replacement with the same benefit. Thanks to DNEWS For Creating This Great Video! by LJ Vanier Team Spirit!